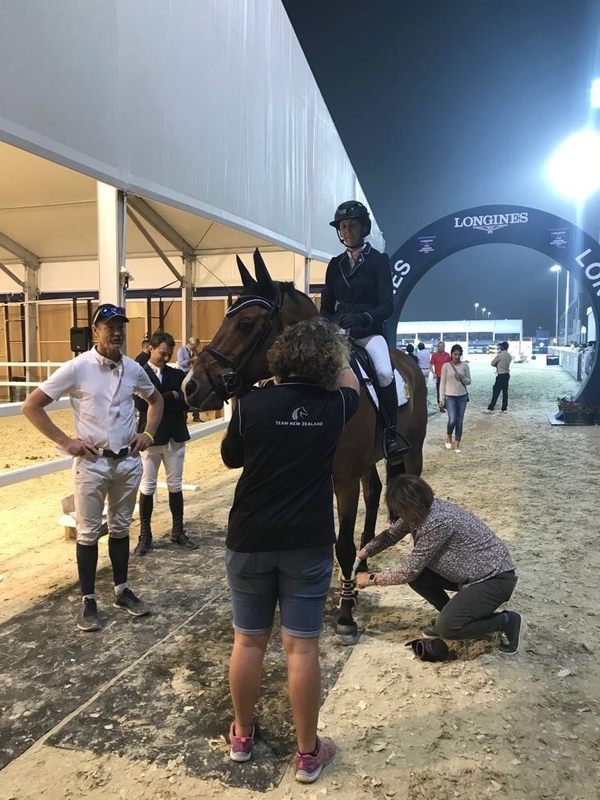 Samantha McIntosh has had a cracking start to competition at the CSIO5* in Abu Dhabi overnight, finishing eighth in both the opening classes. She and Check In 2 jumped a super double clear in the 1.50m class, making it look all too easy and coming home in the jump-off in 39.25 seconds. Fifteen came through to the jump-off where 11 were double clear. Italian Luca Maria Moneta and Connery took the win with their 35.87 second effort. Daniel Meech and Fine were also in the 47-strong field, but picked up four faults with a cheap rail in the opening round. It is the horse’s first start since Frankfurt just before Christmas. McIntosh also picked up an eighth in the very fast 1.45m speed round aboard Estina. Fifty-four started the class, including her team-mates Meech aboard Sitia-Blue and Bruce Goodin on his new mount Backatrops Danny V. McIntosh was all clear, coming home in 57.12 seconds, with Moneta once again winning the class, this time on Neptune Brecourt in 51.91 seconds. Twenty-two combinations were clear and inside time, with Meech and Goodin bagging four faults apiece. Meech was unlucky to have the second to last fence down, while Goodin was happy with the efforts of his borrowed horse. “I am happy to get this round under my belt riding the horse for the first time and now have a lot more knowledge of him to work with,” said Goodin. 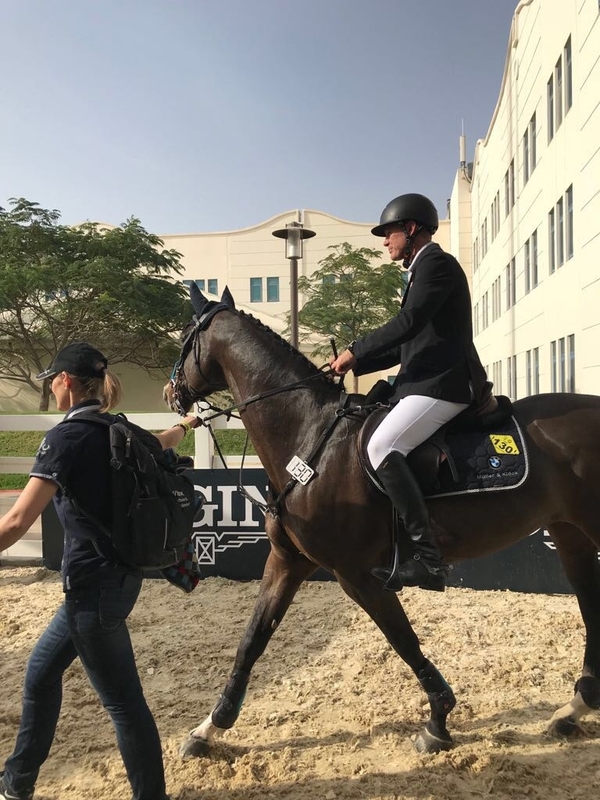 Richard Gardner and Calisto also started, but the horse struggled a little coming from the freezing conditions of Europe to the high 20s and humidity of Abu Dhabi. Tomorrow McIntosh, Meech and Richard Gardner will compete in the 1.45m speed class, with Meech and McIntosh also on the card for the 1.60m President Cup Grand Prix later in the day.